In 2011, the course of my life changed forever. My boyfriend Tom and I were creating music for films, had a band, and had a new record coming out. We were living in Los Angeles, working hard, in love, and doing what we liked. One day, he woke up with a light headache that wouldn’t go away. We thought it was stress, life, and the need for a vacation! After a couple of weeks, the headache became so strong that he went directly to the ER. After a couple of tests, we got the news that he had brain cancer. He was 48 when he was diagnosed, and he had one of the most aggressive cancers that exist today. It was a stage IV glioblastoma multiforme (GBM) tumor in his right frontal lobe, and it was already so advanced when they discovered it that it required surgery immediately. They call this cancer the invisible octopus, which means that although the majority of the tumor (the visible cancer tissue) was removed through surgery, the remaining invisible tentacles are impossible to eradicate. The doctors gave him only 10 to 30 days to live and told him that traditional therapies didn’t have much success against this type of cancer. While spending long nights in the ICU, and long days in distress, we tirelessly researched other options. 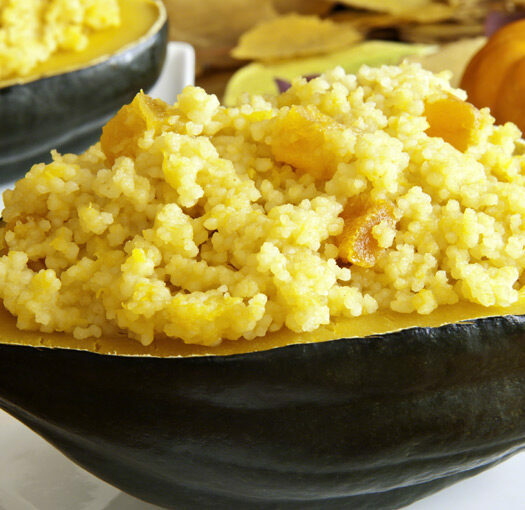 Even while in the hospital, we avoided any kind of sugar, meats, dairy, and processed foods. We didn’t yet have detailed information on the subject, but we started the change right then and there. The truth is that we didn’t really have any other choice, and at the time, our knowledge of disease, the food system, the health industry, the pharmaceutical industry was minimal. We didn’t know there was anything wrong with it! Not long after, a film called Forks Over Knives opened in theaters, and Tom went to see it. I was back in Florida for a few days visiting my family and having some health tests of my own done. For the first 30 days after Tom’s diagnosis, as you might expect, I experienced extreme stress, fevers, palpitations, and anxiety, but I also had sharp pains in my lower pelvis, dizziness, and other strange symptoms. I remember there was a point, were my mouth was so full of sores due to stress that it hurt to eat. Regardless, gathering our research based on the evidence shown in the film, plus other information we kept finding on books and sources online, we were putting together strong evidence for our chosen nutrition therapy. The truth is that we didn’t really have any other choice, and at the time, our knowledge of disease, the food system, the health industry, the pharmaceutical industry was minimal. We didn’t know there was anything wrong with it! We also didn’t know how they are all entangled, and how they are all part of a paradigm that is killing us. A strict dietary change was made from one day to the next. It was difficult at first, but there just wasn’t time to do it gradually. We wanted him to live – and that was the only goal. We hoped for the best. Among others, it was the realization of what the big industries are doing to us, right now, and every single day. We are Guinea Pigs. They want us as customers for their drugs, victims of their lies, and their sponsored “medical” studies. Our food is toxic and our water is contaminated but they keep selling it to us. Even though Tom was originally given only one month to live, when he went for his check-up three months later, the tumor growth had actually decreased in size by 25 percent. The oncologists (and all of us!) were all amazed, as this was something they had never seen: apparently this is a cancer that grows by the second, so a reduction in growth was a first for them. We had chosen not to tell the doctors what we were doing, figuring that fighting brain cancer with diet would be nothing but a foreign and almost ridiculous concept for them to comprehend. Somehow I knew I had to channel my energy into something good so that I wouldn’t go deeper into paralysis and depression. I had to scream what I had found, and I had to help others avoid what I had experienced. My own health had improved during that time as well, even while dealing with such a difficult experience. Tom lived another eight months after his initial diagnosis. Regardless, after Tom’s death I spiraled downward, sick with grief. He had been my music partner, so I didn’t know what to do with my career, my life, or myself. I didn’t have a job, I had to find a place to live, and I had to start my life, yet again. I was numb for months, and I probably cried quite a few massive rivers. In those times, it is not only the loss of someone; it actually becomes the loss of many things, and the revelation of a cruel reality I hadn’t seen before. Among others, it was the realization of what the big industries are doing to us, right now, and every single day. We are Guinea Pigs. They want us as customers for their drugs, victims of their lies, and their sponsored “medical” studies. Our food is toxic and our water is contaminated but they keep selling it to us. What do you do with all of this? Good question. Somehow I knew I had to channel my energy into something good so that I wouldn’t go deeper into paralysis and depression. I had to scream what I had found, and I had to help others avoid what I had experienced. The one thing that I knew I wanted to share with the world was the importance of nutrition in the prevention and reversal of diseases. I had witnessed firsthand how the diet had impacted Tom’s health, even in such a short time, and I was changed. Even though I had initially started the diet to support him, my own health problems had disappeared, including large cysts in the ovaries and breasts, hormonal imbalances, painful menstruation, a bad case of anxiety and panic attacks, and an iodine deficiency. I knew I’d be plant-based forever. I had gone to school for graphic design and had worked in branding for more than a decade, so I thought I’d spread the word by applying that knowledge. But how? I was starting over from zero, and I had to find something I could do on my own, without money, and something that relied strictly on my existing abilities. During my research period, I found there weren’t many easy-to-find sources for reversal of diseases or plant-based nutrition. This was 2011. To our common benefit, that has changed today, but even a few years ago this was not the case. I wanted to create something that people could feel connected to, and could enjoy and share while learning. My goal was to create an attractive, educational, science-based resource that was full of heart. About a year after Tom’s death, I started Naked Food Magazine, a deeply personal project committed to showcasing food as medicine and the magnificent power of plant-based nutrition. Though I had never worked in publishing, I took on this challenge. It couldn’t be tougher than what I had recently lived through… and I now had the benefit of a great supporter, cheering me on from above. 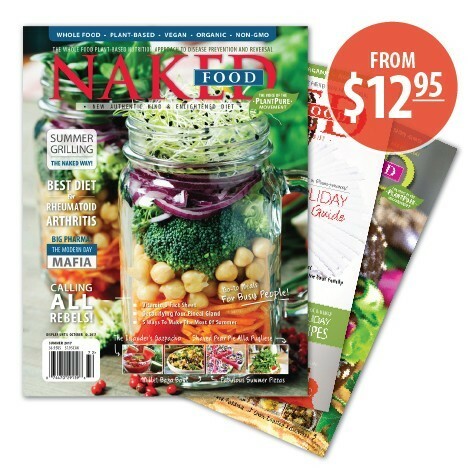 Naked Food started as a free digital magazine in its first year, and then went to print in the spring of 2014. A lot changed when I started distributing in Whole Foods and other health-food stores. It was great; people fell in love with the magazine, but more than the magazine, I believe, was the fact that there was finally some media supporting this amazing way of life and the wonderful people that have worked tirelessly to bring this information to us. Every part of this amazing project has been a true labor of love. I launched it all by myself with no funding, advertising, or sponsors, so it has been difficult and challenging in every way. It has also been the most rewarding thing I have ever done in my life, besides going plant-based. Then Sprouts and Barnes and Noble opened their doors, and now the magazine is in many other stores around the U.S. and Canada. 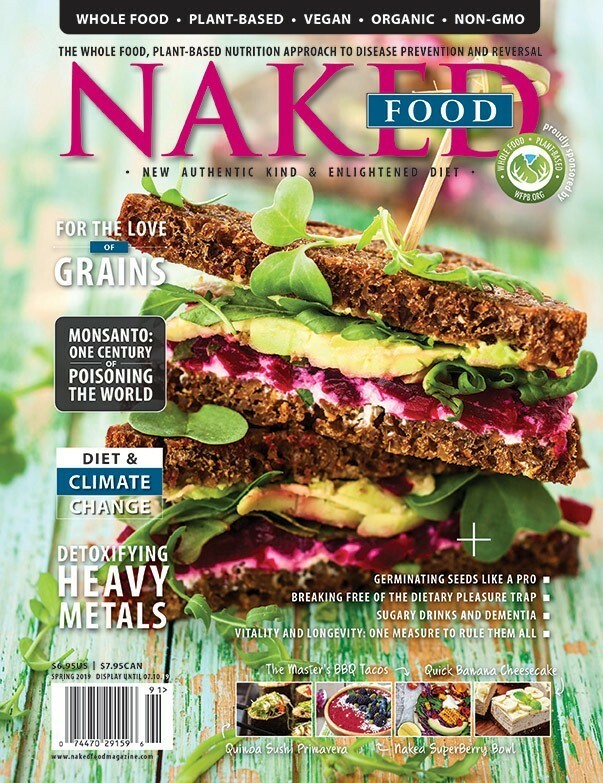 Naked Food received the prestigious Media Industry Newsletter (MIN) “Hottest Magazine Launch” award in 2014, and recently the Graphic Excellence award from Printing Industries of America in 2016 for using environmentally sound materials to create the publication. As you may have guessed, Naked Food is printed on recycled paper and soy-based inks to create an outstandingly beautiful magazine. Every part of this amazing project has been a true labor of love. I launched it all by myself with no funding, advertising, or sponsors, so it has been difficult and challenging in every way. It has also been the most rewarding thing I have ever done in my life, besides going plant-based. As you can see, I am proof that everything happens for a reason, and it is up to us to turn even the most difficult of experiences, into something positive. One of the lines I repeat in my head and one of the biggest lessons of my life has been to make things count. No matter what they are. These things can change someone’s life, as they have changed mine. Every time I hear from a reader that their health has improved by reading something in the magazine, it makes all the work worthwhile. You are inspiring! Thank you for sharing your story, your dedication and for spreading the word!! Thank you for your strength and ability to move forward, and for creating this magazine – I can’t believe I just discovered it! 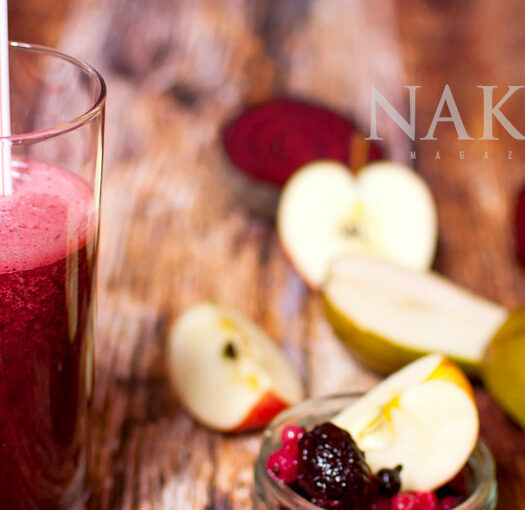 I think you are right – people (like me) must resonate with the message and the support that Naked Food shows, just by being. Thank you for a truly inspiring story, Margarita, and for channeling your sorrow into something so meaningful. 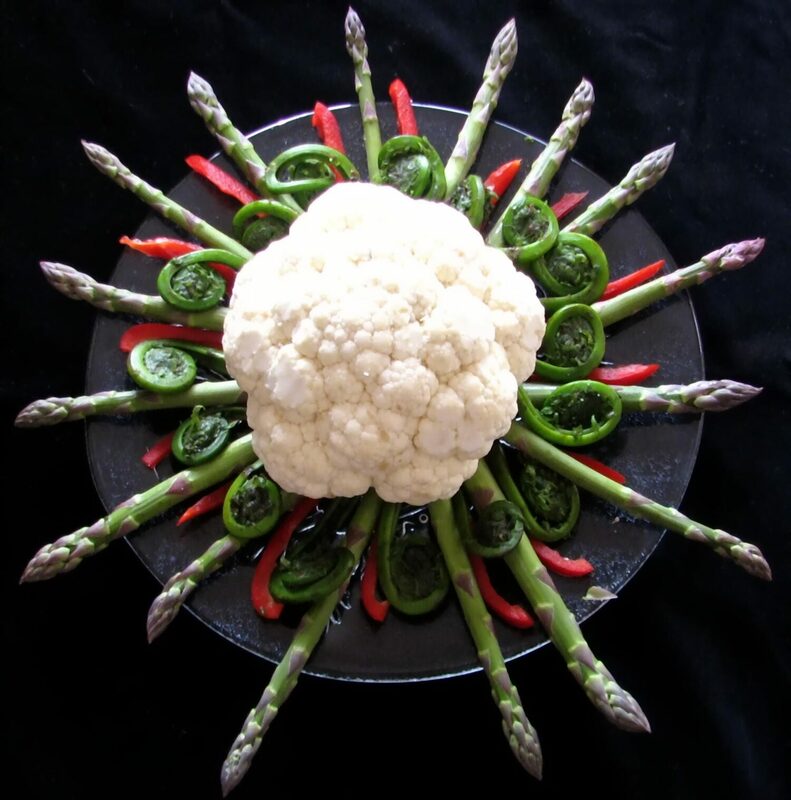 I am a late-stage ovarian cancer survivor and can attest to the power of food to prevent, heal, and even reverse disease. 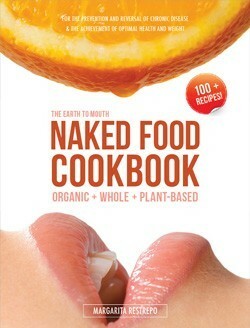 Naked Food magazine is a great publication and I so look forward to each issue when it arrives in my mailbox. Just wish it was longer! I usually sit and read the whole thing immediately, as each article is so interesting. Thank you for launching this great magazine and your contributors are great people, many of whom I have met or heard speak. Where do you get your zinc and iodine?